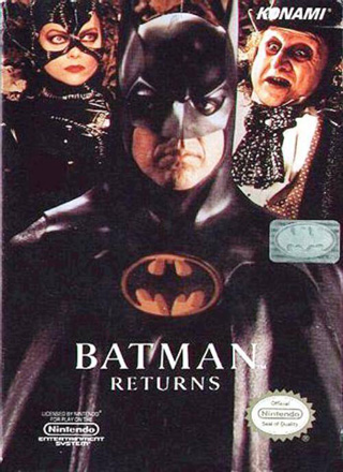 Batman Returns is a single-player licensed beat 'em up from Konami that's based off the movie of the same name. Its straightforward, accessible gameplay is defined by an emphasis on mobility. Gotham City seems peaceful since Batman released it from the Joker's clutches. But, some people have seen a strange man's shadow in the sewer. The time is coming when Batman must return. 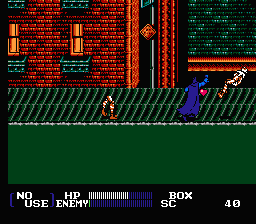 Konami also made a Batman Returns brawler for the SNES, although the two games are completely different. 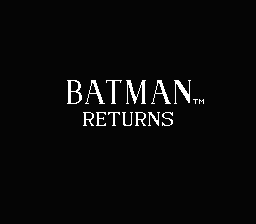 There are a handful of other Batman Returns games that feature a variety of gameplay and developers. 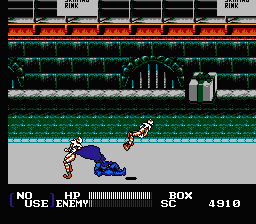 Batman Returns is yet another solid brawler from Konami. Its simple yet somewhat challenging combat emphasizes dash-attacks and has tight controls. 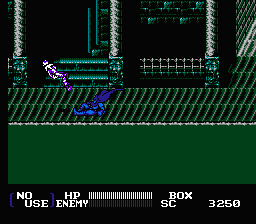 The graphics and music are average for a Konami game but well above average for the NES. 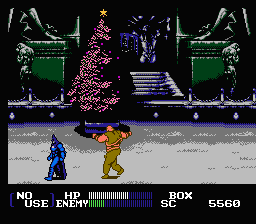 The bosses are all well done, but the enemy variety is a little lacking.